We will never compromise our high standards, perfection and precision have remained our top priorities over the decades. Here at H&T Presspart, we have a long term commitment to quality and testing. We fully understand that quality control and stringent testing are paramount in the healthcare industry than in any other. Regular audits of the Quality Management System by some of the world’s leading pharmaceutical organisations and regulatory agencies ensure product compliance to the highest quality and regulatory standards. 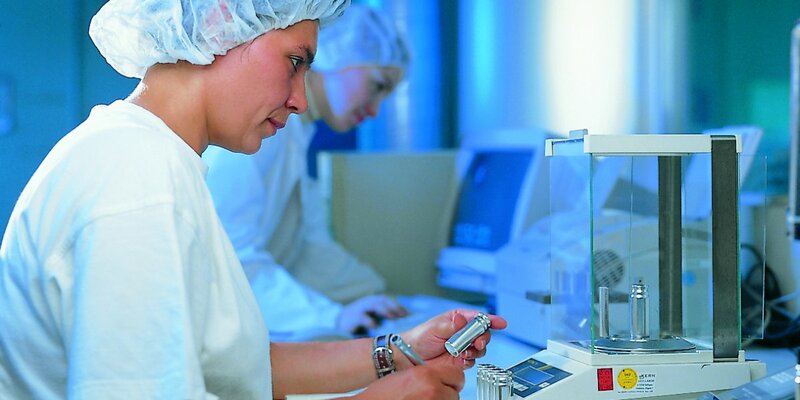 Our systems and manufacturing facilities comply to ISO 9001, ISO15378, ISO13485, ISO 14001 and EU/FDA Good Manufacturing Practices (cGMP) ensuring the highest standards are adopted across the business. Coating and Packaging operations are conducted within a clean room environment to ensure the lowest possible risk of contamination. Our in-house analytical laboratory services, and state-of-the-art testing and measuring equipment along with our quality record – demonstrate a continuing company commitment to satisfying customers’ needs. It is due to our exacting standards and insistence upon superior service, that long-term customer partnerships have become ‘the norm’ at H&T Presspart. Whether you need a technology or manufacturing transfer, or a conceptual design taken through to a commercial solution, the pharmaceutical division at H&T Presspart can deliver successful results. Specifications, design, management, installation, validation, maintenance and continuous improvement of equipment and manufacturing processes are all carried out to the highest pharmaceutical regulatory compliance and standards. They also clearly illustrate a strong project managerial pedigree. H&T Presspart’s process engineering techniques from Six Sigma, Lean Sigma and Kepner-Tregor further enhance problem solving capabilities. FMEAs, Process Mapping and data-driven analysis ensure a philosophy of continuous improvement across the business.